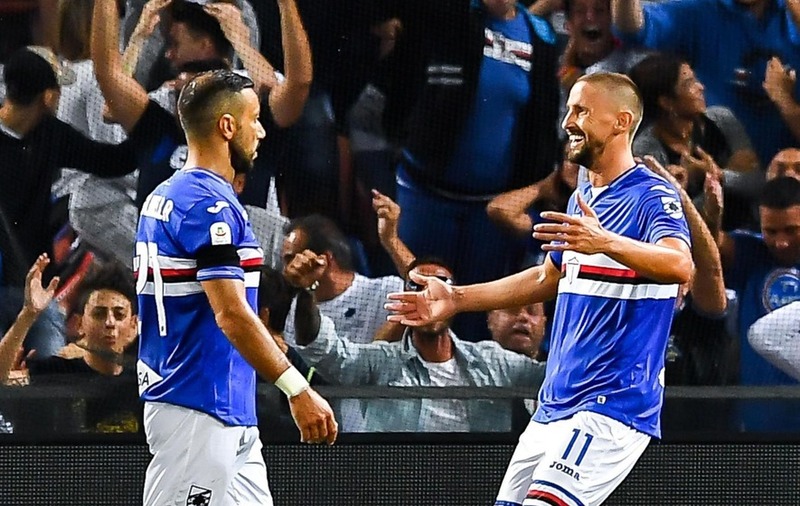 A stunning volley from Fabio Quagliarella has set the bar for goal of the 2018/19 season in a Serie A game between Sampdoria and Napoli. Sampdoria found themselves 2-0 up in only their second league game of the season, and it was Quagliarella who put the icing on the cake with the most sumptuous third goal you could hope to see. Not so much as a hint of a celebration. Now that’s cool. The 35-year-old’s goal sealed a 3-0 win against his hometown club, with Gregoire Defrel netting the first two. There was no doubting which goal commanded the most attention however. Goal of the season by Fabio Quagliarella. Hands down. Don’t need to see anything else the rest of the campaign. Although not everyone gave the finish the description it deserved. Some goals are hard to take.